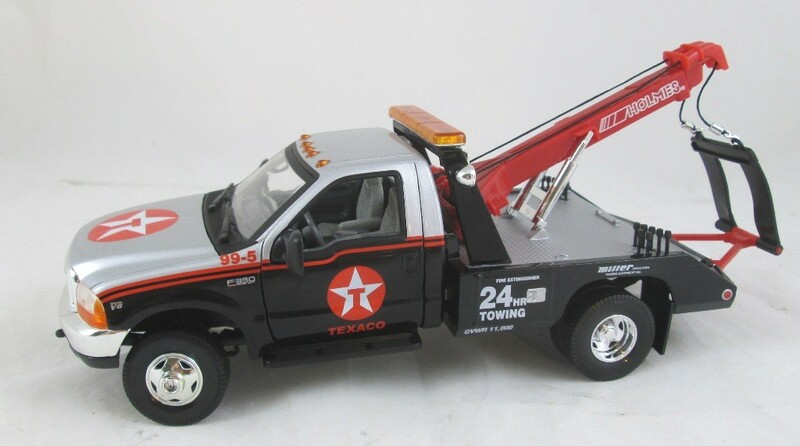 This page will include Diecast 1/24 - 1/25 scale cars and trucks of Chevy, Chevrolet Corvette, Ford, Olds, Buick, Cadillac, Pontiac and more. They were made by Ertl, American Muscle, Johnny Lightning, Racing Champions, Revell and More. 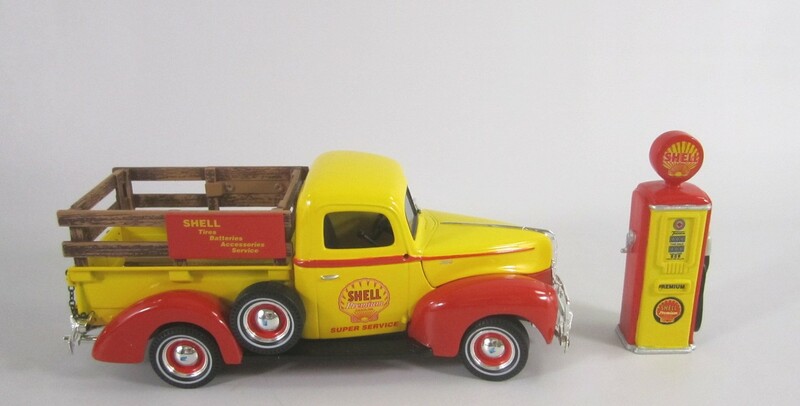 Ertl Prestige Stk# K029 Shell Gasoline 1940 Ford Truck in Die-Cast 1/25 scale (about 7in long). 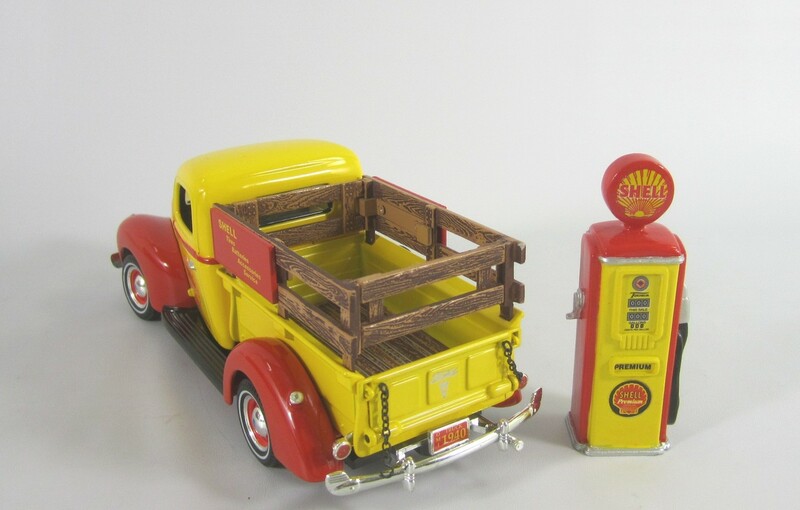 Comes with 1/25 scale gas pump. 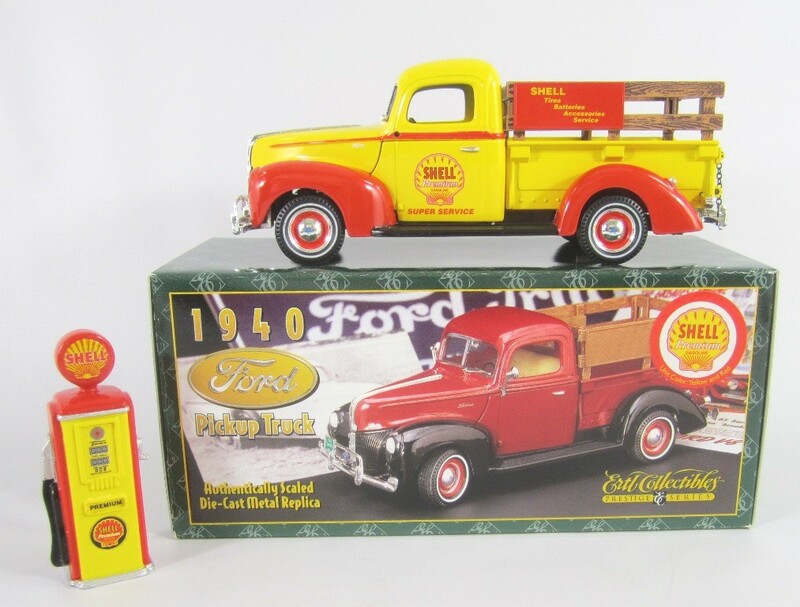 Nicely detailed with positionable front wheels and opening tailgate Mirrors are sealed in box. 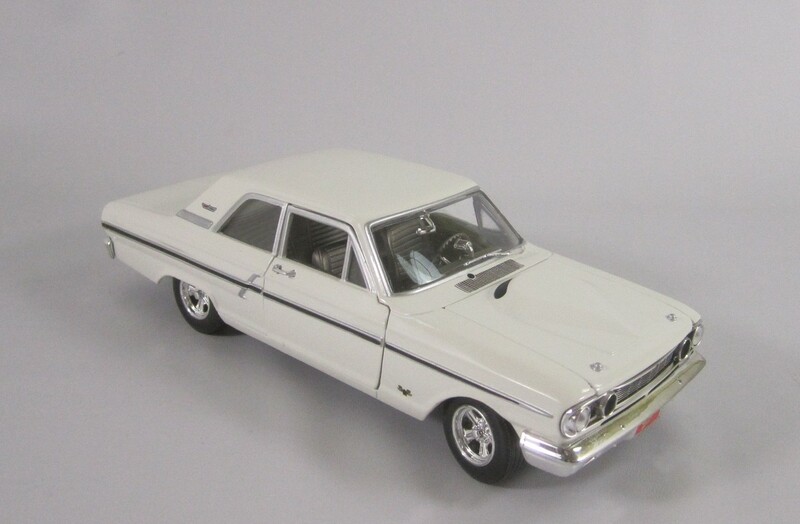 Johnny Lightning Stk# 33756, 1964 Ford Thunderbolt Die-Cast 1/24 scale car. 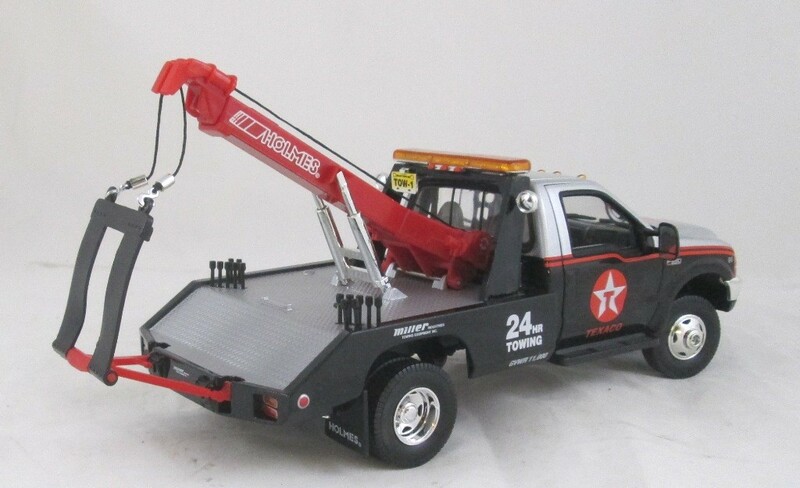 Opening Hood and doors, Steerable wheels and diecast chassis. Racing Champions Ertl Stk# 77459, Summit Racing Mark Pawuk 2002 Pontiac Grand Am Pro Stock Die-Cast 1/24 scale car. 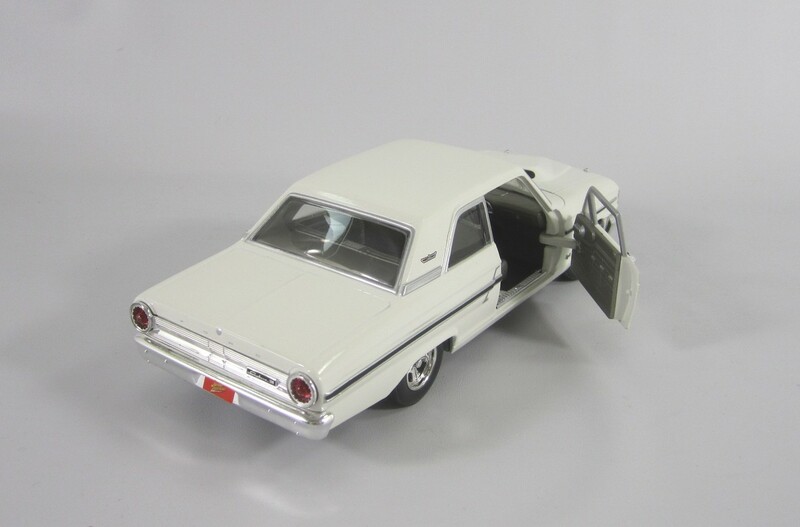 Lift off front end and opening doors, Steerable wheels and diecast chassis from the Authentics series. Number 676 of 999 made. 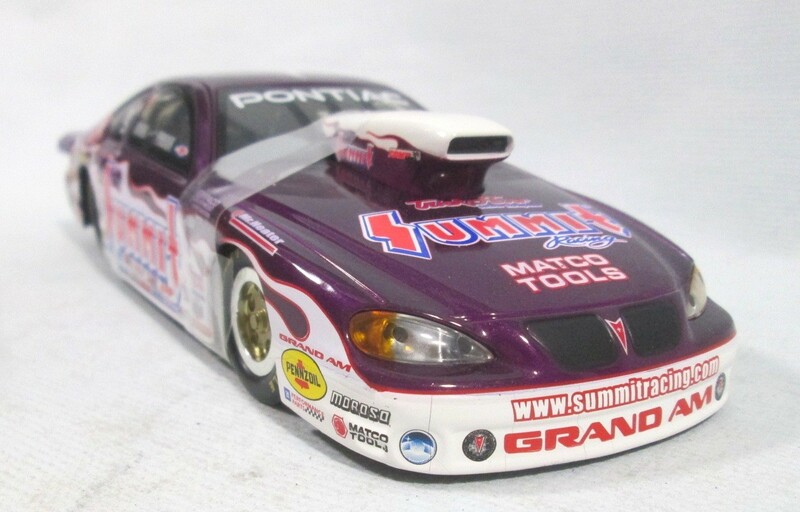 Racing Champions Ertl Stk# 77459, Summit Racing Mark Pawuk 2002 Pontiac Grand Am Pro Stock Die-Cast 1/24 scale car. 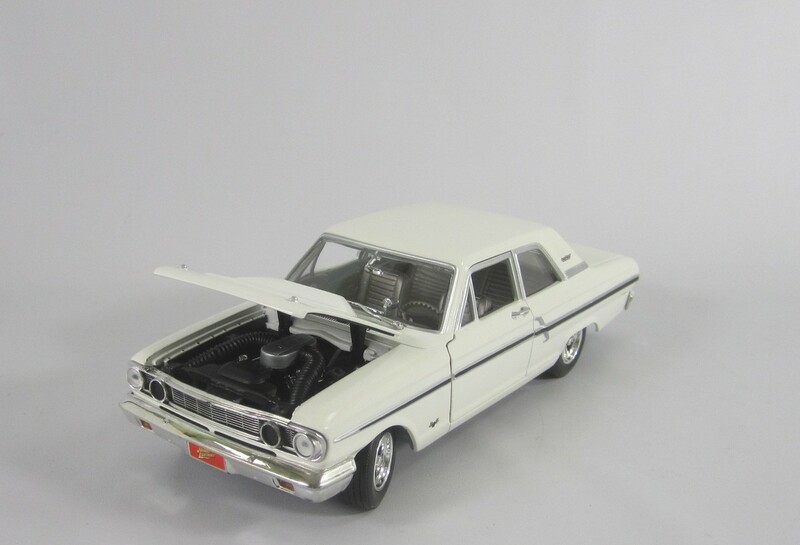 Opening Hood and doors, Steerable wheels and diecast chassis from the Authentics series. Very Limited gold chrome 1 of 199. 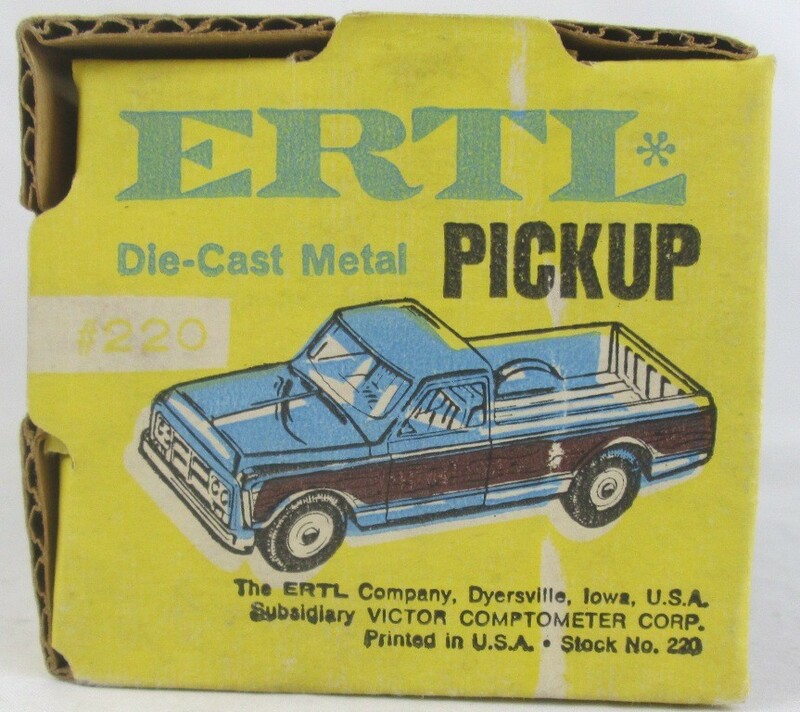 Ertl Blueprint Replica Stk# 220, 1972? 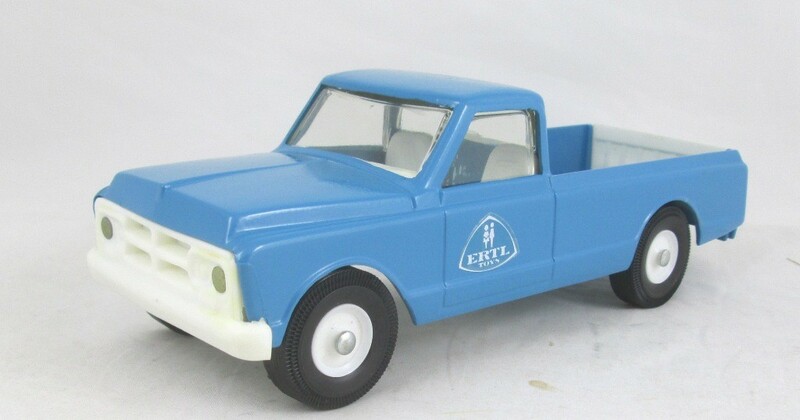 Chevy/GMC Pickup Truck in 1/25 scale Die-Cast. Opening tail gate. 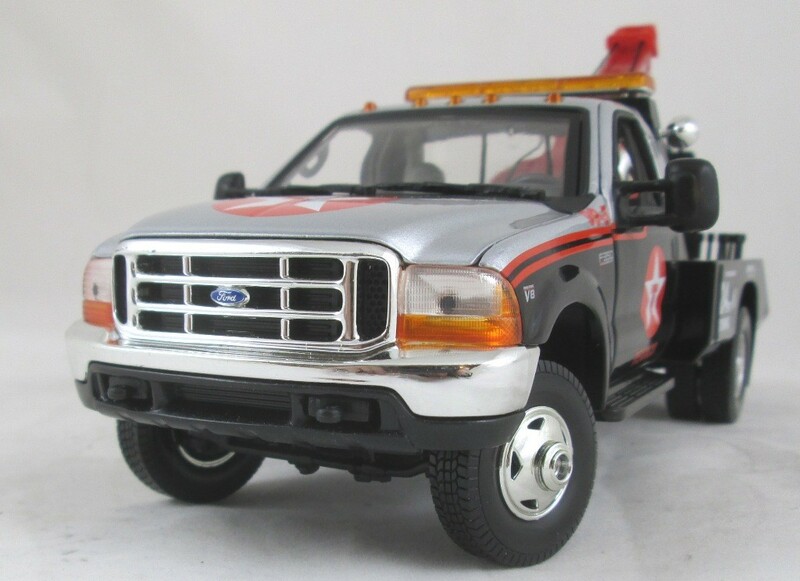 Matchbox Collectibles Stk# 92883, 1999 Ford F-350 Super Duty Lariat Wrecker in Die-Cast. 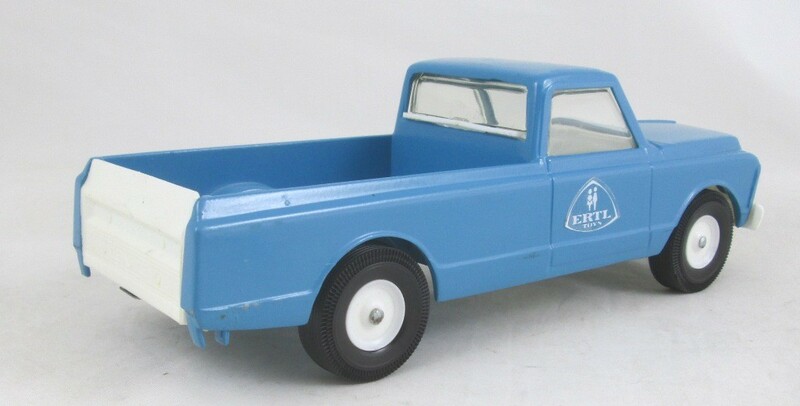 The truck measures 9 1/2 in long, (1/24 scale). New in box, Never Opened. You will recieve the one shown in the box. Open photos are from one in my collection. 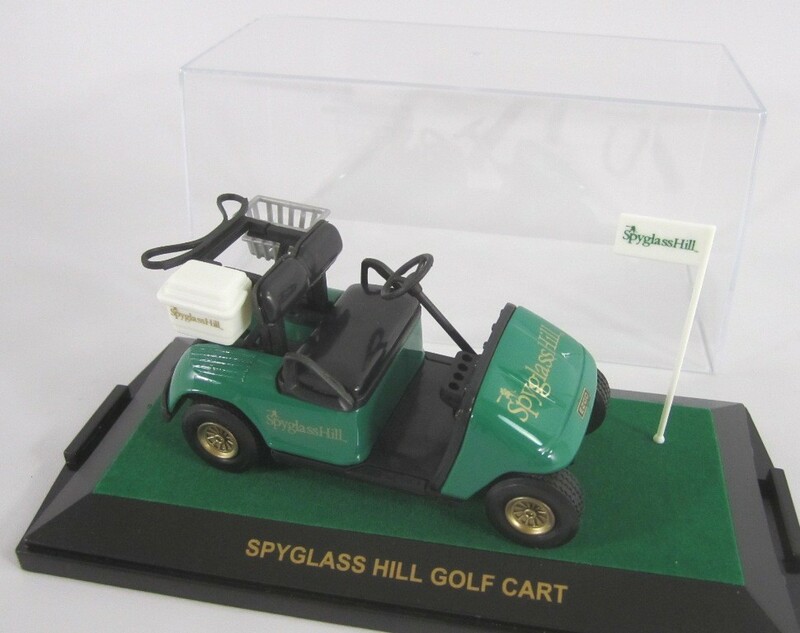 Road Champs Stk# 48226 Pebble Beach Spyglass Hill Golf Cart. The box states 1/43 scale but it is closer to 1/25 scale at 3-3/4 in long. Limited to just 10,000 pcs from 1999. 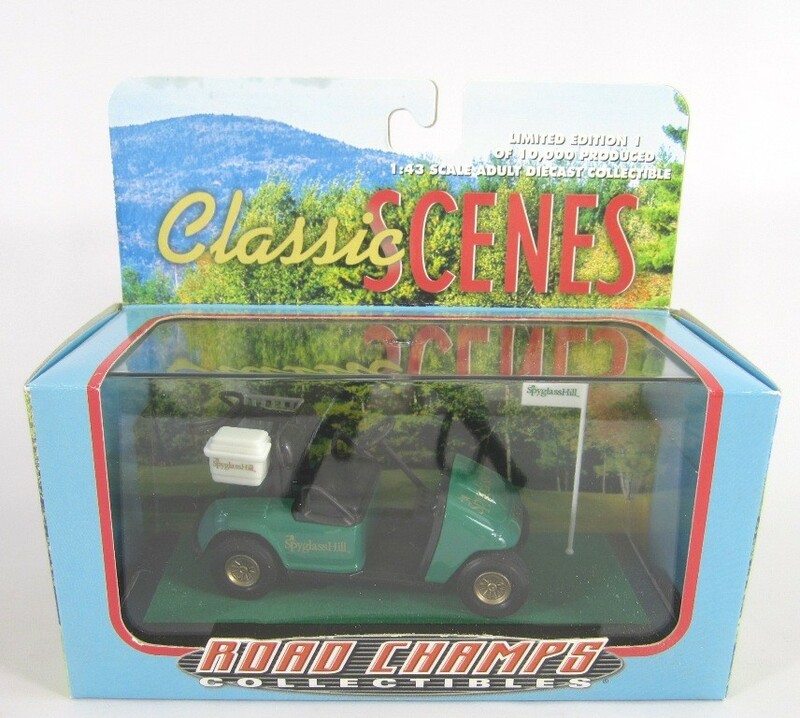 This is an adult diecast collectible. Comes packed in a Hard cover Display Case. You will receive a New in Box, Never Opened cart.